It’s another Sunday morning as life rushes by. I have Spotify playing in the background listening to my classical radio with Ólafur Arnalds playing “Þú Ert Jörðin”. My espresso awaits as I begin to write about what ever comes to mind. I find it liberating to think out loud on paper so to speak. It’s of course much easier to just talk to yourself but I think its more meaningful to put it down on paper, as you have a record to maybe come back to. Not sure what I may gleen in the future from such self talk but it’s there not to be lost in the infinity of the mind’s memory. 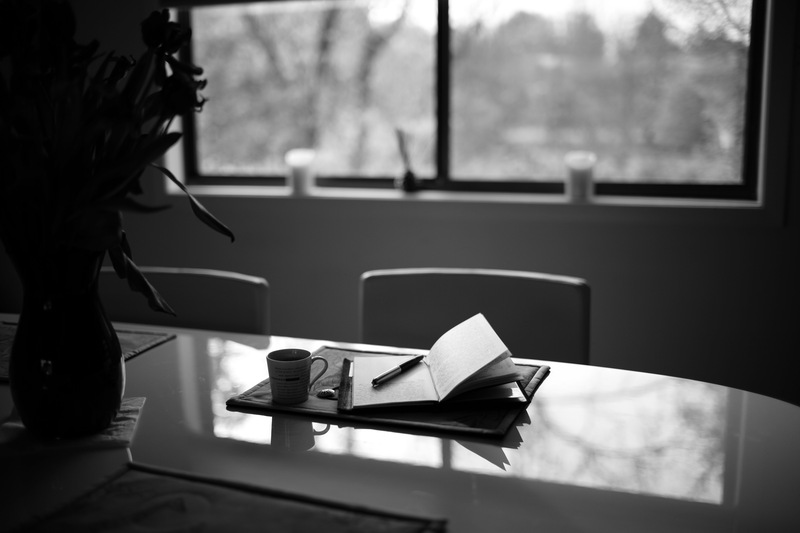 This entry was posted in Travel and tagged B&W, Journal, Leica 35 Lux, Leica M240, Morning glow. Bookmark the permalink. The most Epicurean of pleasures!